Our Toddler Session is £5.00. Entry prices include your toddler and carer. Simply add £5.00 for an extra child or adult. 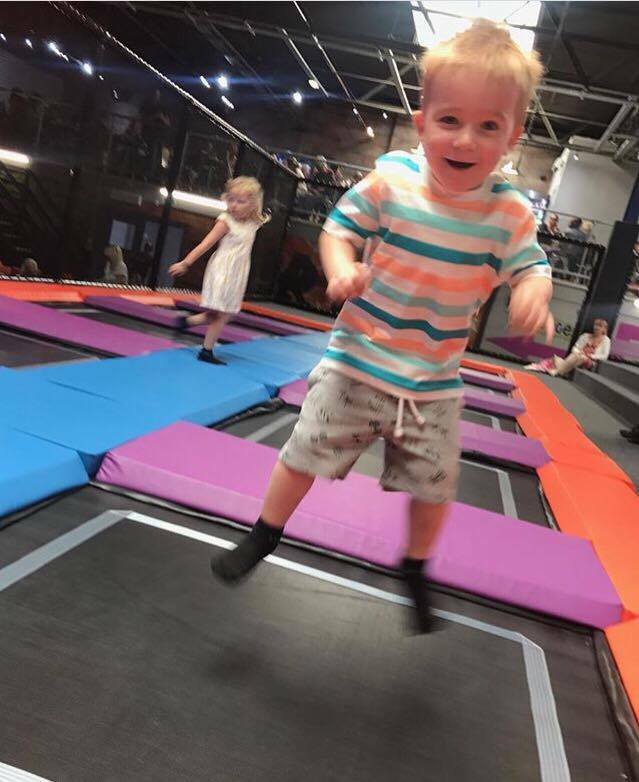 Jump Toddler is a session for under 4 year olds, During school holidays we do up this limit to 6 years and under. 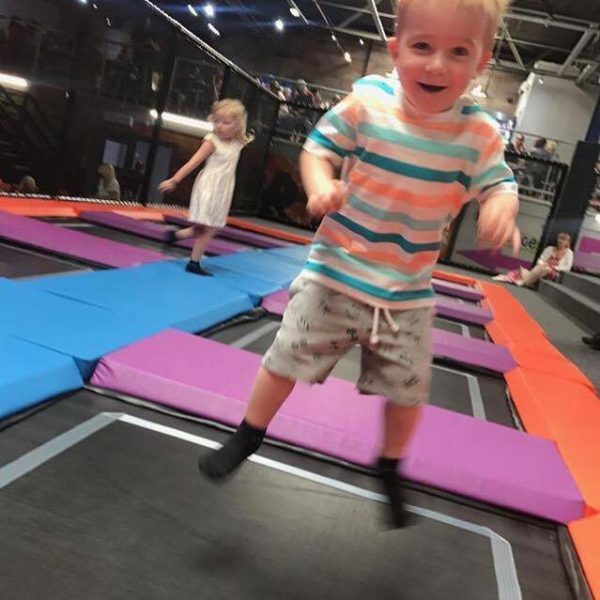 Something fun and exciting for the little ones, allowing parents to accompany their children on the trampolines and enjoy the facility during our quieter periods. In addition to the trampolines, there’ll be soft play items to keep the little ones stimulated and help them improve coordination (and let the adults have a bit of fun too!). It’s a great opportunity for younger children to acquire new motor skills and for parents to meet new people and even enjoy a coffee or bite to eat in our Box Café. Aside from the obvious health benefits, they help build confidence and encourage fitness as a fun activity for both child and carer. Sessions are geared for pre-schoolers who are attending with a parent or guardian. We don’t have a definitive starting age, but in simple terms, if they can walk, they can bounce. Our normal health and safety rules apply; all participants must sign a Waiver Form and attend a safety briefing 10 minutes prior to your session.